I’ve read that the most successful people follow a consistent morning routine, because the quality of your morning sets the tone for the rest of the day. How can you help yourself keep your morning rituals productive and focused, though, when so much can distract you. One way is to set specific timers for morning tasks, something that Morning Rituals – The Smart Timer to help you achieve and track your success routine with stats can help you do. When you first open Morning Rituals, you’ll be greeted with a quick tutorial followed by the screens to set up your own tasks. 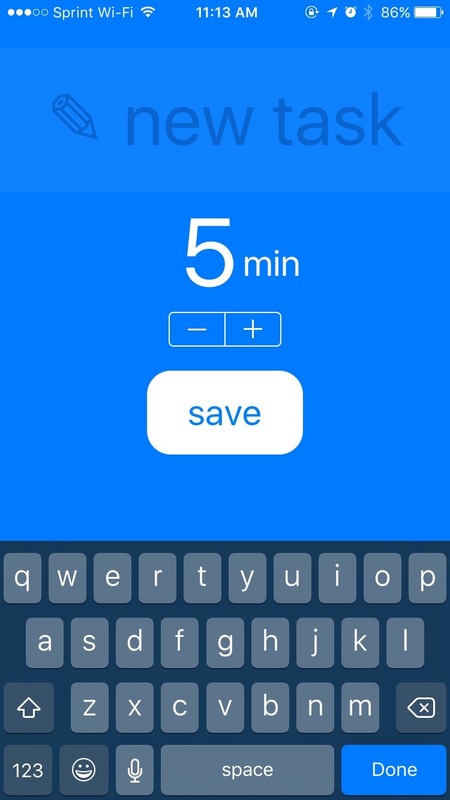 Fill in what activity you want to do, set the time for that task, and it’s saved to the app. 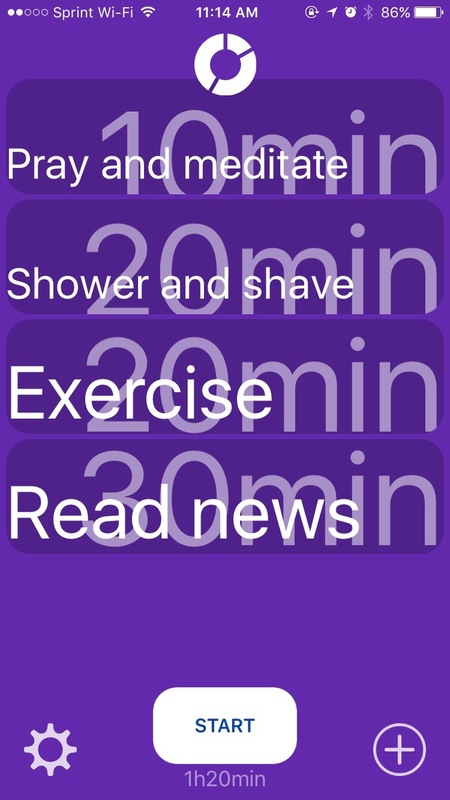 Then you can fill in the details for the rest of your morning habits, until you have your routine all fleshed out. 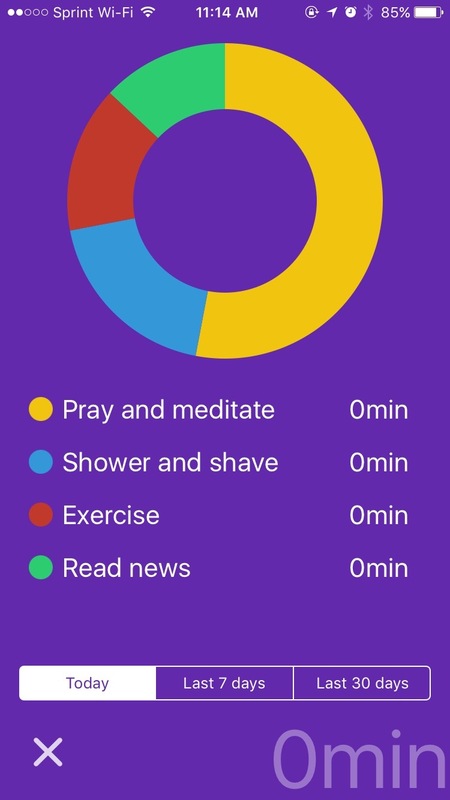 Once that’s done, you can use the app to track your morning activities and help you make the most out of the first hours of the day. When you begin your morning, just start your first task. The app will begin the timer, and will let you know when it’s time to move on to the next item in your morning ritual. By default, the app keeps your iPhone from locking during your routine, so you can always see how much time left you have in each task. You can disable this, however, secure in the knowledge that Morning Rituals is running in the background and will give you a notification when it’s time to move on to the next activity. Once you’ve completed your routine, Morning Rituals shows you a graph of how you spent your time. There’s also a breakdown that shows each task and how much time you actually spent on that particular morning habit, so you can fine-tune your wakeup routine to best suit you and keep you the most productive. It keeps track of your statistics over time, so you can see how you did in the last week or previous month. 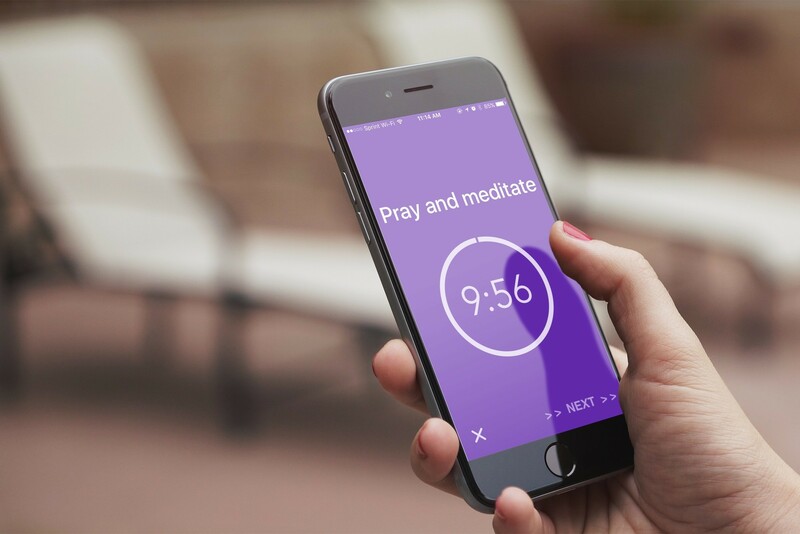 You can download Morning Rituals for your iPhone, iPad, or iPod touch on the App Store for $2.99. The app requires iOS 9 or later, and does not use any ads or in-app purchases.